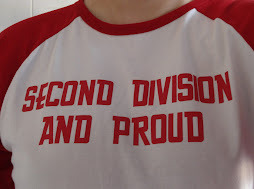 Second Division And Proud: Inspired By 'arry & Ken! 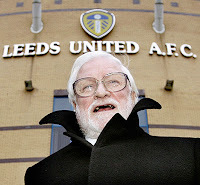 Inspired By 'arry & Ken! Ok so, here we are … the 1st July ... half way through the year and just 46 days from Charlton’s push for seventh place in the second division. Just 7 days from the first riveting pre-season friendly at Bromley and 32 days from the home match against who knows? So … do we need another blog about things vaguely resembling Charlton Athletic Football Club? … No! So … what can I offer that others can’t? … erm, nothing really! Fed up with the transglobal (express) monopolisation, over packaging and saturisation of football (as it used to be called) I’m regaining what is rightfully ours … the English Second Division! Inspired by ‘arry and Ken I’ve decided to publish the ‘real second division’ table as the season unwinds because … well just because I want to really. I’m not a Pompey fan by any long shot … no soft spot for ‘ammer ‘arry or their bloody chimes … in fact ‘erman’s the only real reason I might give a toss what they’re doing. Except for Saturday 17th May 2008 when ‘arry saved ENGLISH football! Don’t get me wrong I’m not anti welsh at all … except when it comes to the double standards of playing in our competitions but still keeping one foot in each camp – like glasgow celtic and glasgow rangers they have their own league, cup and seep so why should they be in our league, cup etc. So, in 39 days time when 18 teams kick off their second division season on Saturday 9th August, 4 teams will have to wait. Forest play Reading a day later but Charlton and Southampton must wait a week more to kick off after meaningless ‘friendlies’ against welsh opposition on the 9th … what a sad and sorry state of affairs.